Leave it to OK Go to add yet another mesmerizing music video to its already impressive, mind-blowing collection. There are three reasons the indie band’s newest video for “The One Moment” has left viewers speechless: It features 325 individual, colorful events; it was captured in just 4.2 seconds (and slowed down to a little over four minutes); and it’s a collaboration with, well, salt — Morton Salt to be exact. 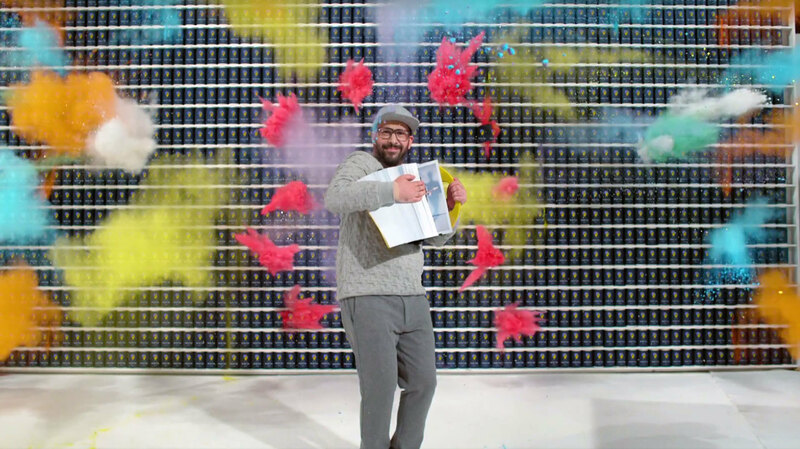 In the video, directed by OK Go’s frontman Damian Kulash Jr., you’ll spot exploding guitars, shattering glass panels and band members soaring through the paint-filled air in slow motion, to name a few over-the-top stunts. But did we really expect anything less from the band? Bravo, OK Go. You really outdid yourselves (somehow). Now check out the rest of their insane videos. The choreography with those little Honda scooters in this is insane. Playing tricks on your mind with this one. They’re making music from a car, with the car and on an obstacle course of various other musical instruments. Yeah, that happened. They even have an interactive version of this video. This, my friends, is a stop-motion video of a piece of toast. Clear trash bins, plenty of dogs and choreography. Three words: Rube Goldberg machine. And, of course, the one that started it all: the treadmill video. What’d you think of OK Go’s “The One Moment”? Let us know in the comments!